Since my trip to the Chuckling Goat farm last summer I’m now much more aware of the power of probiotics. It turns out that giving our tummies some TLC can do wonders for your overall health as well as specific conditions. Probiotics can come in the form of fermented foods like sauerkraut, kefir/yoghurt drinks and pickled vegetables but also in the form of capsules for a regular dosage of live cultures. 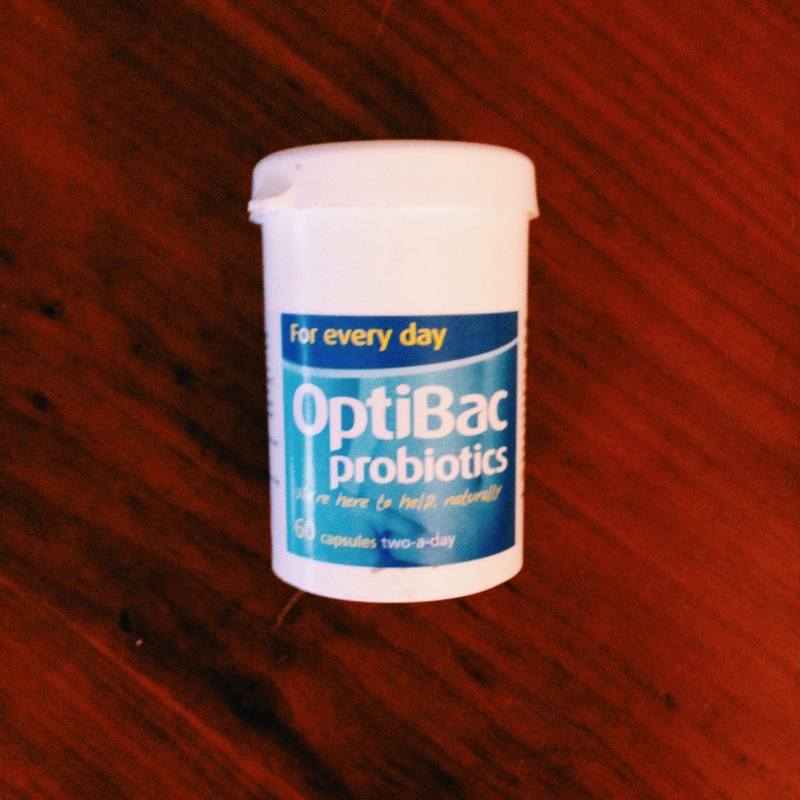 I’ve been investigating daily supplements on the market and ordered the Optibac Probiotics for everyday to try out, since I’d heard good things about the brand. You get 60 capsules for 30 days at £9.99. You can also get the supplements for travelling, extra strength, and if you’re on antibiotics (a great idea since antibiotics kill a lot of the healthy bacteria that live in your gut). I’m a firm believer that how you treat yourself on the inside will manifest on the outside, so was pleasantly not-so-surprised to see the raging dermatitis on my hands go down significantly after just a week taking the supplements. Despite the sub-zero temperatures which usually makes my skin worse, it actually seems to be getting much better. I’m not saying I’m 100% cured but it’s a start! Probiotics are also brilliant if you have digestive issues like IBS. They can help regulate the acidity of your stomach by repopulating it with the good bacteria it needs to function properly. I’ve felt a lot happier since taking them, despite it being my least favourite time of year. Now I know it’s a bit silly to measure happiness according to what supplements you’ve taken, but as most of our serotonin receptors are in our stomach, it makes sense that a happy digestive system will make you feel more positive about life! I also know from a recent visit to Tanya’s Cafe that all of her customers on the January Tanya’s Cleanse got these very same supplements daily. For more reasons why you should consider taking probiotics, have a read of this article by nutritionist Vicki Edgson. If you want to make your tummy a friendlier place, I’d recommend taking these or some kind of probiotic every day and see if you feel a difference. Let me know once you’ve tried, or if you’ve taken them in the past I’d love to hear how your experience was! No idea we had serotonin receptors in our tummy? Does that explain why chocolate makes us so happy too? 😉 Great post though Ruth, I’ve been looking for some probiotics for ages but it’s all so confusing! Will give this ones a go!